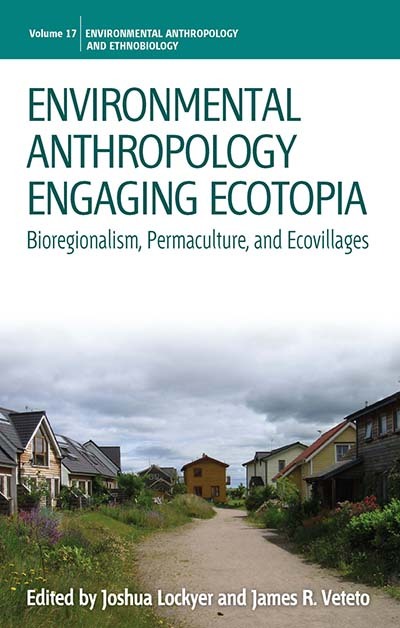 In order to move global society towards a sustainable “ecotopia,” solutions must be engaged in specific places and communities, and the authors here argue for re-orienting environmental anthropology from a problem-oriented towards a solutions-focused endeavor. Using case studies from around the world, the contributors—scholar-activists and activist-practitioners— examine the interrelationships between three prominent environmental social movements: bioregionalism, a worldview and political ecology that grounds environmental action and experience; permaculture, a design science for putting the bioregional vision into action; and ecovillages, the ever-dynamic settings for creating sustainable local cultures. Joshua Lockyer is Associate Professor of Anthropology at Arkansas Tech University where he is co-creating a bioregionally-based undergraduate anthropology program. James R. Veteto is Assistant Professor and faculty member of the Cherokee Studies Program in the Department of Anthropology and Sociology at Western Carolina University. He is Executive Director of the Appalachian Institute for Mountain Studies and Director of the Southern Seed Legacy.